- The story will be a continuation of the first installment. In this installment, the name of the airline company is Skylette Airlines (天頌航空). - There will be location filming in England, France, Taiwan, and Sanya. - Francis Ng (Samuel Tong Yik Sam/唐亦琛) and Julian Cheung (Ku Ha Yeung/顧夏陽) will have a mature men's friendship. They are on the same wavelength, and there is also some competition. They will be involved in a love triangle with Fala Chen. - Julian will play a dashing senior pilot. He is a player who is uninhibited in work and life. He has many females surrounding him. 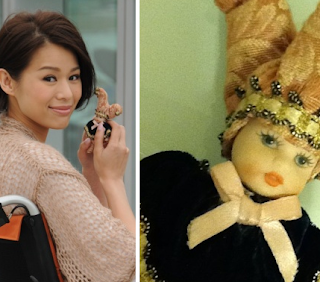 - Myolie Wu will play two characters (Zoe So Yi/蘇怡; Ha San/夏晨). Zoe has passed away; she will appear for a couple episodes in Francis' memory sequences. The new character, Julian's younger sister, is an airplane technician who has a boyish personality and is not good at communicating with others; she will have a romantic storyline with Ron Ng, but he is slightly resistant to having a relationship with his 'sister-in-law'. - Fala (Ho Nin Hei/何年希) will play a pilot. She was born and raised in England. She and Francis are initially an arguing pair, but he later becomes her mentor. Afterward, she will have a romantic storyline with Julian. She, Francis, and Julian cannot let go of the 'shadow lover' in their hearts, thereby causing struggles. - Francis has an attachment to his dead wife. Fala's ex-boyfriend also passed away, and she also has an attachment to her ex-boyfriend. Julian bears a resemblance to Fala's ex-boyfriend. 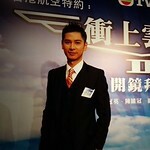 - Ron (Issac Tong Yik Fung/唐亦風) will be promoted to First Officer. He and Francis have become more like friends, so they are get along even more comfortably with each other. 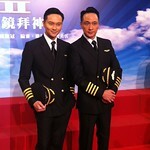 - Kenneth Ma (Roy Ko Chi Wang/高志宏) will be promoted to First Officer. His romantic storyline will have a sense of the times. He will have an older sister and younger brother relationship with Elena Kong. He has a 'ready-to-eat' attitude, and he will have one-night stands. - Nancy Wu (Coco Ling Cheung Chi/凌卓芝) will be a Flight Purser. - Him Law (Chim Chi Lun/詹子麟)will play a pilot. He will have a romantic storyline with Nancy and Rebecca Zhu. - Elena Kong (Heather Fong Bing Ka/方苪嘉) will play Patrick Dunn's ex-wife. 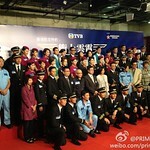 - Toby Leung (Tung Oi Ping/童愛蘋) will play an airport staff member. She is Francis' goddaughter. She and Stefan Wong will play a pair. 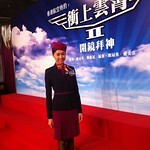 - Rebecca (Wu Ping/胡娉) will play a flight attendant. - Kelly Fu (Kiu Cho Si/喬祖思) will play a canteen staff member. - Patrick (Tony Ching Yat Tung/程日東) is a Captain. - Pal Sin (King Ka Chun/景家駿) will play an executive. - Adrian Chau (On Yi Tai/安以泰) will play an airplane technician. 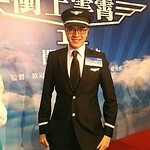 - William Chak (Tucker Luk Wah Tak/陸華特) will play a First Officer. 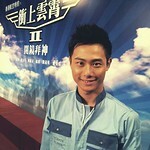 - Skye Chan will play a flight attendant. - Eliza Sam will play a flight attendant. - Coffee Lam will play a flight attendant. 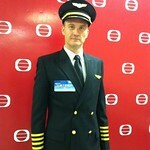 - Kibby Lau will play a flight attendant. 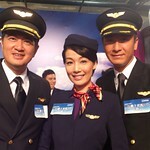 - Snow Suen (Donna Tung Na/冬娜) will play a flight attendant. 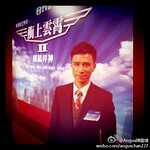 - Kyle Tse will play a flight attendant. - Janey Yan will play a flight attendant. - Yuang Cheung will play a pilot. - Dolby Kwan (Clever Choi Siu Chung/蔡兆聰) will play a pilot. - Yeung Chiu Hoi (Yiu Ho/姚浩) will play an airplane technician.